Quoting former First Gentleman Jose Miguel Arroyo, ABS-CBN’s RG Cruz reported that Negros Occidental Rep. Ignacio Arroyo has died after the life – support systems were removed from his body. “Support systems were pulled out already thirty minutes ago. My brother passed away already. I’m so sad,” the elder Arroyo said. ABS-CBN’ RG Cruz reports that according to the former First Gentleman, “Iggy is brain dead or clinically dead but has not been pronounced as dead by doctors.” Iggy is still on life support, but it “could be taken out anytime.” The older Arroyo said’d he’ll issue an official statement at the proper time. 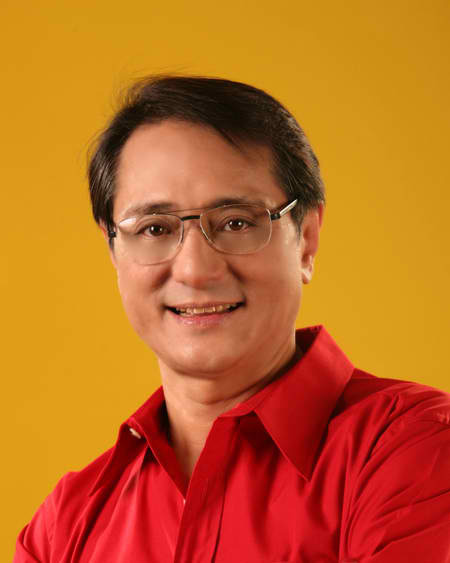 Philippine Daily Inquirer’s Isa Avendano reports that Negros Occidental 5th District Rep. Ignacio “Iggy” Arroyo has “succumbed to cardiac arrest while undergoing treatment abroad.” He was 60. His remains would be brought to the country any day from now, his brother former First Gentleman Jose Miguel Arroyo said in an interview with DZIQ. In an interview with ABS-CBN Europe News Bureau’s Rose Eclarinal last December from the United Kingdom, the younger Arroyo stated that he will not be able to return to country until January of this year upon the recommendation of his doctor, Professor Roger Williams of The London Clinic. He refused to elaborate on his medical condition, but he insisted that he is not running away from charges stemming from his alleged involvement in the sale of second-hand helicopters to PNP. He earned his degree in Business Administration (major in finance) from the University of San Francisco in 1974. He is survived by his three daughters Bianca Marie, Dina, and Alelu.